Oh Hey There! : How to Make Moving Less Stressful! Yes, the roof is slightly off-centre. Yes, it will haunt me till the end of time. I have recently moved house and city. The experience was, erm... pretty bloody stressful. Lack of organisation, timing, a little bit of laziness and naivety meant that what would have been a tiring, hectic process just became unbelievably stressful. After I moved in and the storm had passed, upon a little reflection, I figured out somethings I would have done better! Probably the thing I most regret is not spending money on storage. Stackable boxes, dividers etc are eternally useful to have around and when moving are a life saver. I have always skimped on this before, trying to reduce the costs of moving but if you can its a great investment. Not only does it make everything ten times easier but you will always find them useful in keeping your new place in order and maybe inspire you to be more organised! Take photos of electronics, wires and difficult to assemble furniture and you will thank yourself later. If you have any game consoles or stereos and are not the best with technology, then taking photos is a good way to ensure speedy unpacking. It is also a great idea if, like me, you own any Ikea furniture, don't keep instructions and found assembling it with them hard enough the first time! Although it will add extra time onto packing, there is no point taking things you don't want with you so clear out! Clear as much as possible and rehome useful items. It's an obvious one but one I always end up half-arseing it and regretting it. This time I did a much better job and it was a great way to lessen the load. It really is the best time as you will probably be a little harsher, more realistic and you have something motivating you. Many charities will also come and collect donations if it is worth their time. Change your address in advance. Something I always forget to do is start changing my address once I know I am moving. When I was younger it wasn't such a big deal but the past couple of years I have gained subscriptions, magazines, snack boxes etc and I get a lot more deliveries than I used to. Weeks later I am still clearing up the mess! Often with subscription services for instance if you have deadlines to cancel/change addresses and when moving this obviously gets put to the back of your mind! Another big problem with moving is not having internet right away. If someone is living in your future home and you can contact them, ask them to cancel their internet when they leave. If the person previously occupying the property does not cancel their internet package themselves you will have to alert the company when you move in. It can then take weeks to cancel, disconnect it and even longer if you want to install a new provider afterwards. This wasn't possible for me this time but luckily we got the keys a few days early so were no more than 4 days without!! 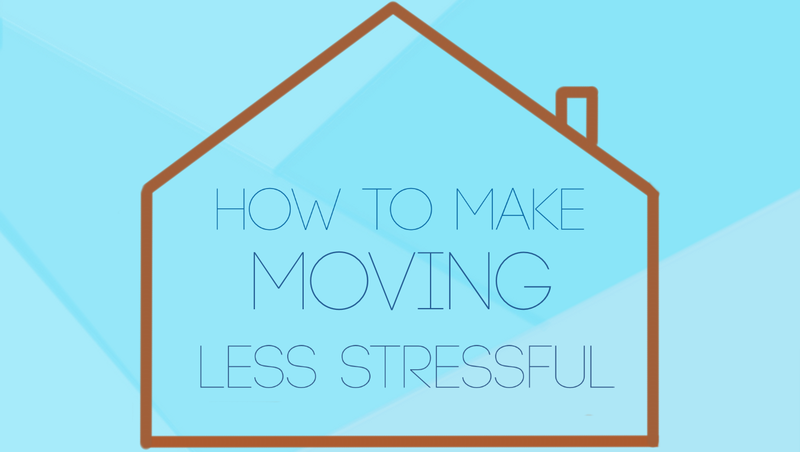 Do you have any moving tips/advice?